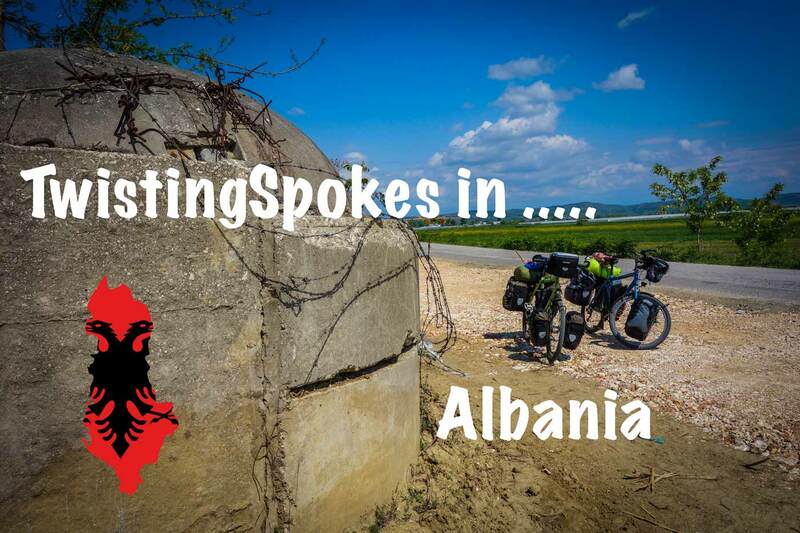 Home/Countries Visited/Europe/Albania/Cycle touring Albania, what an introduction! We were slightly nervous traveling by ferry from Bari in Italy to Durres in Albania. We had been in Italy for such a long time that it was interesting but also challenging to go to the next country. Also the difference between Italy and Albania is really big. 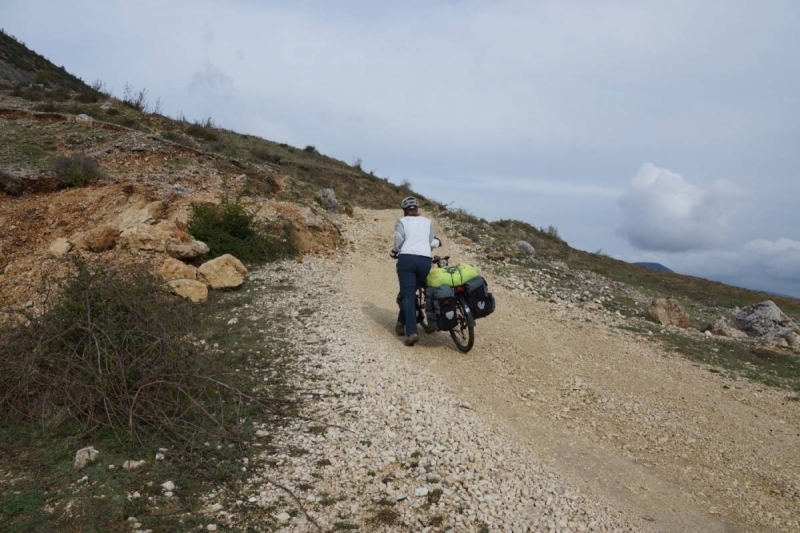 With Cycle touring Albania we definitely had the feeling that the adventure is really starting. While looking for the ticket office for the ferry in Bari we met Stefan, a German hitchhiker who would take the same ferry as us. When we arrived at the ticket office we heard in Dutch: “no this can’t be true”. It was the pensioned Dutch couple, Jeanet and John, we had met in Pompeii on the camping. We chatted a bit and then they invited us for a cup of coffee. While we had been in Mola di Bari they had been to Sicily and now they were also crossing into Albania on their way back home. The ferry was a nice experience, the water was still, there was no rain and we were sleeping outside on the deck in the fresh air. In the morning we went for breakfast with Stefan and experienced our first Albanian experiences. We also by coincidence ran into the only Warmshowers host in Durres, one of two hosts in Albania. Cycling out of Durres we were completely full with new emotions. 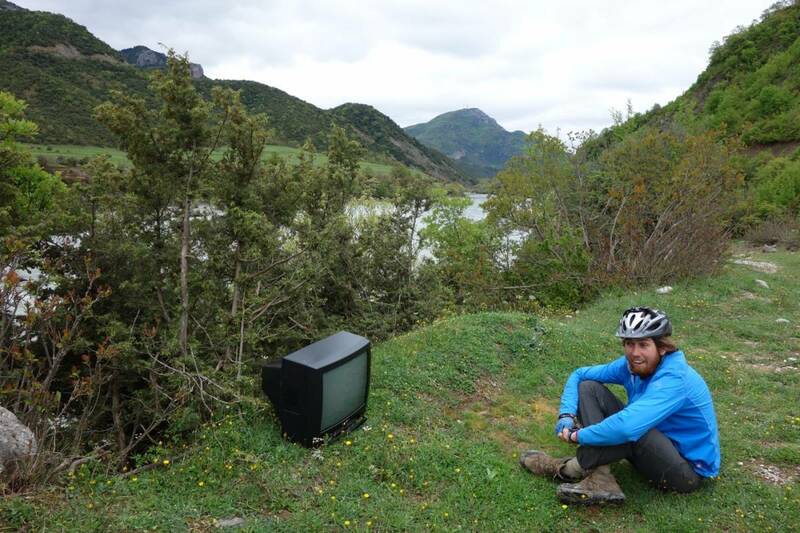 It was a massive change from cycling in Italy to cycling in Albania. The traffic was different, the people, the language, the shops and the scenery were all totally different. We were cycling in between new flashy cars and cars that were almost breaking down, cycling behind small carts loaded with a lot of different stuff behind a horse or donkey. Everything made an impression. We had decided to take a smaller road along the coast down to Berat. We were making steady kilometers all reasonably flat for now with huge mountains in the background. All of a sudden Martin heard a crash and Susanne was lying on the asphalt. She had slipped off the road and skidded to a halt on her side. Luckily the bags took most of the impact but also her knee and head hit the ground. The hit with the head was with such impact that the helmet had cracked. This al happened right in front of a cafe, so two men came and helped out and asked if we were okay. After a cup of tea we were ready to get on the road again, still a bit shaken by the fall. An hour and a half later we had difficulty finding a place to camp because the small villages were lined up one after another. We asked a woman at a house if we could camp in the area and she talked with the mother and father of the household and we were invited in. We could not camp but had to sleep inside. The whole family consisting of ten people: father, mother, three sons, two wives and three small children. Nobody spoke English and when shaking the head means yes in Albanian in stead of no it makes the whole conversation more difficult. The mother tried to ask if we were vegetarian, eventually she took us to see the pigs in the shed and asked if we eat meat. It was a very heartwarming evening and the men especially were very interested in our map of Albania. The woman were mainly interested in Susanne activities and they were keeping a close eye on her. geen wifi neem ik aan? Where are you now? hang on there. So you are saying there is internet?